Since 2007, HCJFS has been led by Agency Director Moira Weir. HCJFS is the largest department within Hamilton County government and reports to the Board of Hamilton County Commissioners. The Hamilton County Job and Family Services Planning Committee serves as an advisory body to the Hamilton County Board of County Commissioners with regard to the full continuum of family, employment and social services which are locally developed to meet local needs and state and federal law. Weir became the agency’s director on July 1, 2007. She joined the leadership team in 2004 as assistant director in charge of Child Support, Workforce Development and Benefit Recovery. She assumed responsibility for Children’s Services in July 2005. Weir began her career at HCJFS in 1993 as a Children’s Services worker. 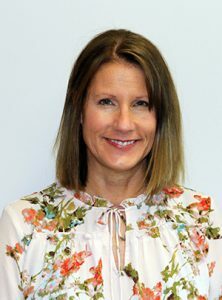 She advanced to section chief of Children’s Services Intake/Assessment, Children’s Services Program Support, and Adult Services as well as an Integrated Services Business Unit. McCartney joined the leadership team on Jan. 11, 2010. He had served as director of the Clermont County Department of Job and Family Services for about seven years. McCartney worked at Hamilton County JFS, 1990-2002, advancing from Income Maintenance technician to a member of the executive team. He was named a Hamilton County Employee of the Year in 1999. Patton joined the leadership team in 2016. 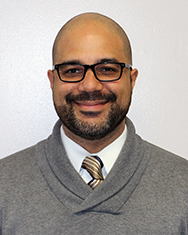 He joined JFS in 1993 and held several leadership positions in Child Support, Family and Adult Assistance and Children’s Services Program Support. Most recently he was the Child Support section chief. Patton is connected to many fatherhood initiatives in the community. Patton is a 1993 graduate of the University of Cincinnati. Weaver joined the executive team in 2017 after 13 years with the agency. She has worked as a Section Chief extensively in Utilization Management and more recently in Intake. Before joining HCJFS, Weaver worked as a program director and clinical director at two local foster care agencies. She brings an additional focus on child safety to Children’s Services. She holds a Master’s Degree from Xavier University. Story joined the agency in 1990 and has served in a series of leadership positions in Quality Assurance, Children’s Services Program Support and Child Care. She is a graduate of Wilmington College and has a master’s in Business Administration from Thomas More College. She has previously played key roles in the adaption of state technology systems here in Hamilton County, most recently in Child Care. She has great knowledge of our program areas and is quite familiar with many of the IT programs we employ. Gregg joined JFS in 2006 after a career in journalism and corporate communications. He’s reported and written for The Cincinnati Enquirer, The Detroit News, Rockford Register Star and USA Today. His most recent corporate communications job was at Hill-Rom Co., the largest hospital bed company in the world. Gregg received the 2010 President’s Award from the Ohio Job and Family Services Directors Association for outstanding work in communications on behalf of JFS organizations throughout Ohio. 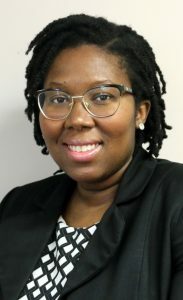 Mathews-Smith joined the executive team in 2019. She is a graduate of Michigan State University and has a master’s in Social Work. She spent 20 years at Beech Acres Parenting Center and was a vice president there. She has served as a consultant to the Council on Aging of Southwest Ohio and as vice president of operations for Medicaid services. 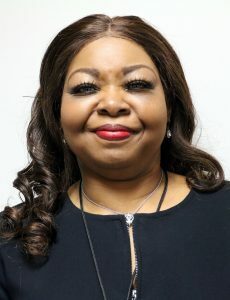 She was chosen one of 10 Women of the Year in 2018 by The Enquirer and The Greater Cincinnati Foundation for her work with the Community Action Agency and C&C Premier Cleaning, helping people with felony records or other barriers that make it difficult for them to find work. Bryan joined the leadership team in 2018. Before joining HCJFS, Bryan worked as a Hamilton County Assistant Prosecuting Attorney, representing HCJFS in child abuse, neglect and dependency matters before the Hamilton County Juvenile Court. She has also served as an Assistant General Counsel to the University of Cincinnati. She holds a Juris Doctorate from Albany Law School. 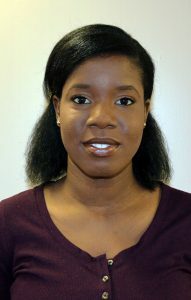 Okunade joined HCJFS in 2019. She previously worked as project manager for Sears Holding Company, as a digital analyst for Kroger Co. and as an analyst for Nielsen. She has bachelor of arts degree in Psychology from Ohio State University and a master’s degree in public administration from the John Glenn School of Public Affairs at Ohio State University. Her background includes experience with business analytics, branding, and international development.